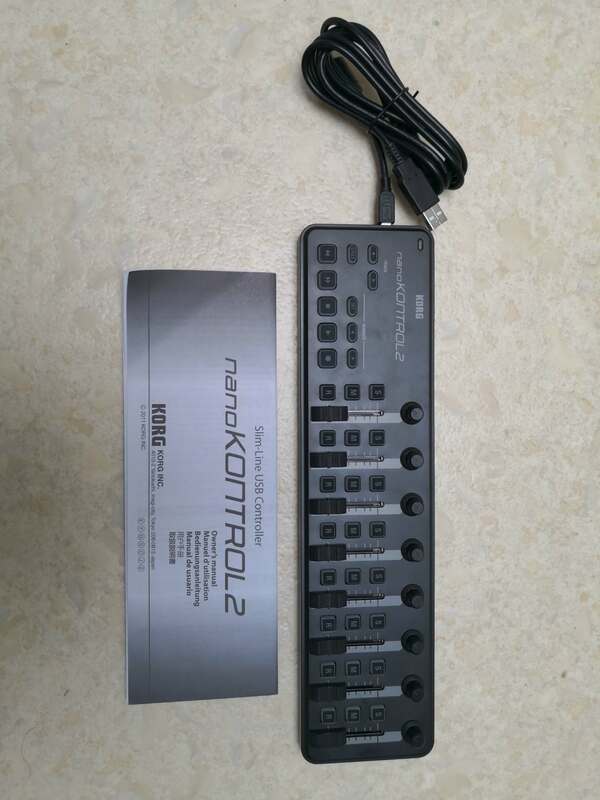 nanoKONTROL2, MIDI Console from Korg in the nano series. 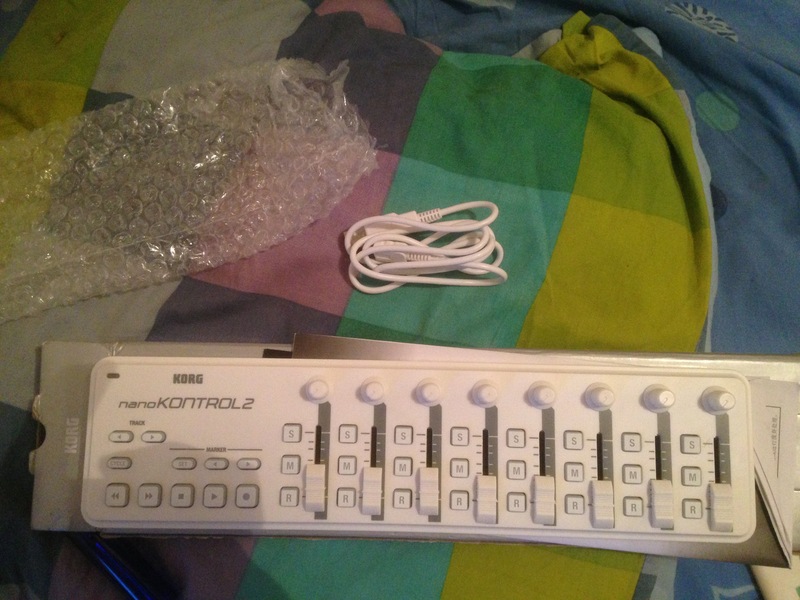 The Korg nanoKONTROL 2 is a MIDI controller that connects to a computer USB port. It is very affordable and can be purchased in white as well. This controller is relatively small and does not take up much space at all. It cannot be racked; it will have to be used as a table top unit. 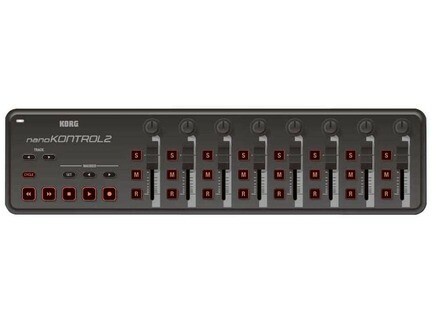 I use this controller to control synths and effects racks in my DAW and it works great. At this price, I cannot believe more people are not purchasing it. It works great and has never giving me any issues. Sometimes I use it during shows to tweak synths and other sound in real time and it has never let me down. I think I will be using it for a long time. Setting up the nanoKONTROL 2 is very quick and easy. It is just like setting up any other MIDI controller or USB controller. I have only used it on my PC running Windows 7 and with Ableton Live. But I am pretty sure it can be used in just about any DAW. I do wish there were some presets built into Ableton for it so I could have had some templates to go off of instead of having to program it all myself. It would have just made it a lot easier but it still wasn’t hard to do it. It was just time consuming getting it all how I wanted it. But after I did it once, I didn’t have to do it again because I can save the template. I recommend this controller to any DJ or computer musician who wants to use some hardware to tweak things instead of using all software. It really helps me being a DJ having something that is small and doesn’t take up much space to teak sounds and effects with. It is also well built and doesn't seem cheap even though the price is low. Papy Pom''s review (This content has been automatically translated from French)" A little hyper Controller practice"
I use it for a little over a year. 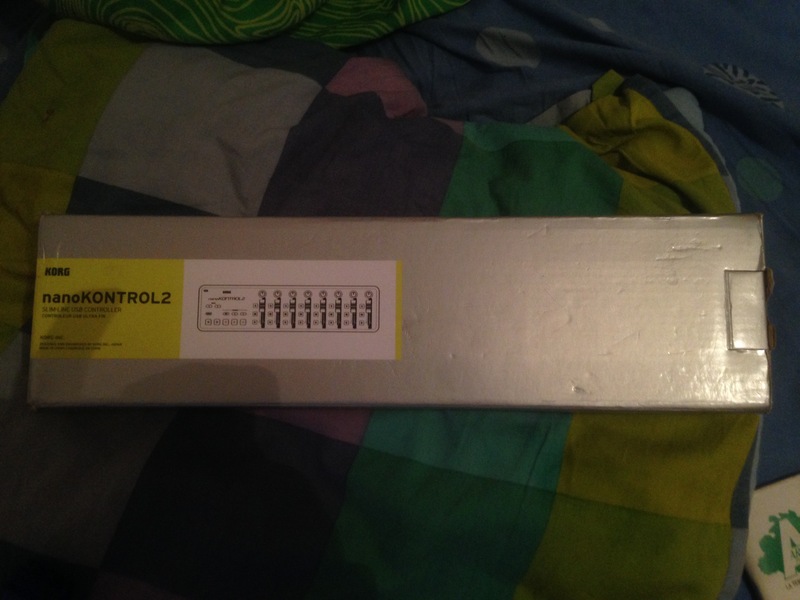 This is my first midi controller dedicated to the faders and knobs! Compact Hyper; strong enough (it has already taken toles he disregarded) ergonomic, practical and aesthetic; the number of controls in fine enough of the stuff once in hand; its price more than okay! the -: my biggest drawback vis-à-vis this is his driver windows 8 relatively unstable (not over it seems) sometimes mixed with the non-recognition / conflictual relationship with FL Studio 11 but in Ableton software any mix, synth vst any, there was never any problem, I will chipotter and say they could add a channel 9 for the master or a micro-crossfader as I have seen from competitors but that. ..
At this ratio q / p in the range of NaNO2 Korg (the nanoPAD / kontrol the first gen are weaker bcp) is the gift and ultimately a consumable (if ever it breaks it's not hard to find 'occas for a pittance). it helps to have lots of small auxiliary controls, mixer travel, fill the evening with platinum buddies without carrying bcp stuff, in short it's super versatile all-purpose! Tin-Man's review (This content has been automatically translated from French)" Perfect for my use"
I use this product for about two months. This is my first controller. I like the size that can make a portable controller. again I was a little afraid it is still light and to walk as soon as you touch a fader but that is not the case. Good Q / P ratio. It will just tell me the price difference between white and black, knowing that the products are the same. very handy for recording / playing / return the markers ... etc ... without touching the mouse. we can 'couple' more (I do not know how to max). Good product I now use it every time I open my sequence / Stan / Daw. Brandski's review (This content has been automatically translated from French)" buggy"
I not keep it long. It was really bad to use. Many bugs used with other surface Check Signal. The supplied software is programmed for unusable, too complicated for that stuff. All plastic, solid and not too small should be handled in two fingers.